Bat-ochir Ser-od né le 07/10/1981 (37 ans). + Hong Kong 2004 2:26:44, 2:28:10 Oulan-Bator 2005, 2:16:22 Beijing 15/10/2007, 2:20:13	Beijing 2/10/2006, 2:12:42 Berlin 2010, 2:13:43 Osaka 2016. 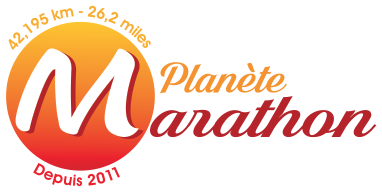 1 Gold Coast Marathon (Australie), Jeux d'Asie, Kurobe Meisui Marathon, Marathon de Hambourg (Allemagne), Marathon de Londres (Angleterre), Marathon de Mumbai (Inde), Marathon de Oulan-Bator (Mongolie), Marathon de Pékin (Chine), Marathon de Tokyo (Japon).